Hey all! I'll be exhibiting this weekend, as always, at the Small Press Expo in Bethesda, Maryland. I'll have issue #2 of Old-Timey Hockey Tales on hand, just in time for NHL training camp! 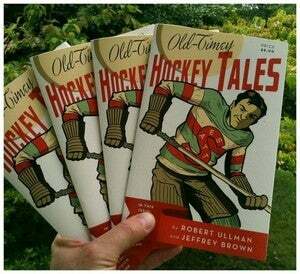 If you can't make it out to lovely suburban DC this weekend, you can still grab a copy of Hockey Tales #2 through the good ol' fashioned US Mail. Operators are standing by!